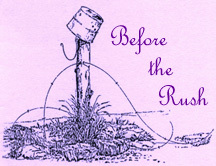 Gammill's first booklet, Before the Rush, marked the beginning... It is an observation of life in its simplicity. Filled with people who have influenced her, the poetry captures moments in time that lie hidden in memories. By sharing these moments with others, they will remain ever young. 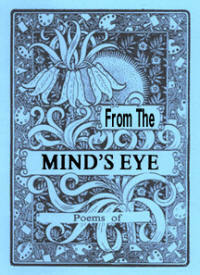 From The Mind's Eye, is a collection of E. Katie Gammill's poetry revealing life experiences and a point of view that only comes with maturity. The author says, "By absorbing the beauty around us, we become 'in tune' with the things that are truly important in life. Only by seeking harmony with both man and beast will we find balance that makes life worth living." In Thirteenth Summer, E. Katie Gammill captures a warm and earthy view of family life in mid-century America as she witnessed it as a girl. Gammill portrays vivid cameos of people that touched and shaped her life. Roots & Wings is her most recent. 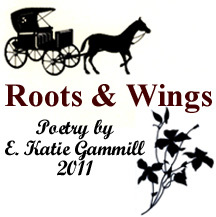 To E. Katie Gammill, poetry is a collection of thoughts, observation, and of times gone by which can never be experienced again except through these recollections. Capturing pointless moments of beauty, family, and discourse, these experiences will never be repeated. In today's sterile age of wordlessness, Gammill breathes life into words. Without a doubt, We lived in the best of times. ENJOY! Order one booklet for $15, get the second and/or third booklet for $13.50 each or save by ordering the Poetry Collection of four for only $49. Send your check or money order to: E. Katie Gammill, 13011 East County Road 210 North, Lerna, IL 62440.